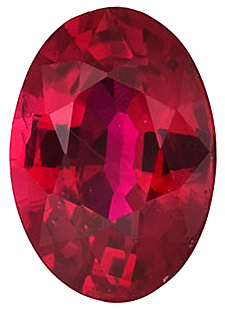 Oval Cut Genuine Ruby in Grade AAA Grade AAA genuine Ruby Gemstones have a vibrant intense slightly pinkish-purplish red color of a medium to medium dark tone. 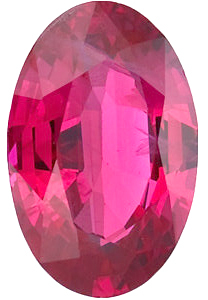 This is the highest grade of standard sized calibrated Ruby gemstones available anywhere. They have a very good cut and very good polish and a clarity rating of eye clean. 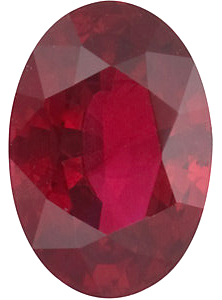 Our Ruby Gemstones have been subjected to traditional heat treatment. In the larger sizes, this quality is not always available. 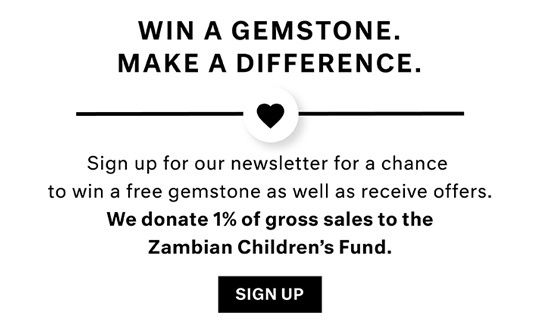 Learn More about Ruby Gemstones History, Lore, Properties and Valuation.